Since leaving Adelaide we have been exploring the Fleurieu Peninsula. 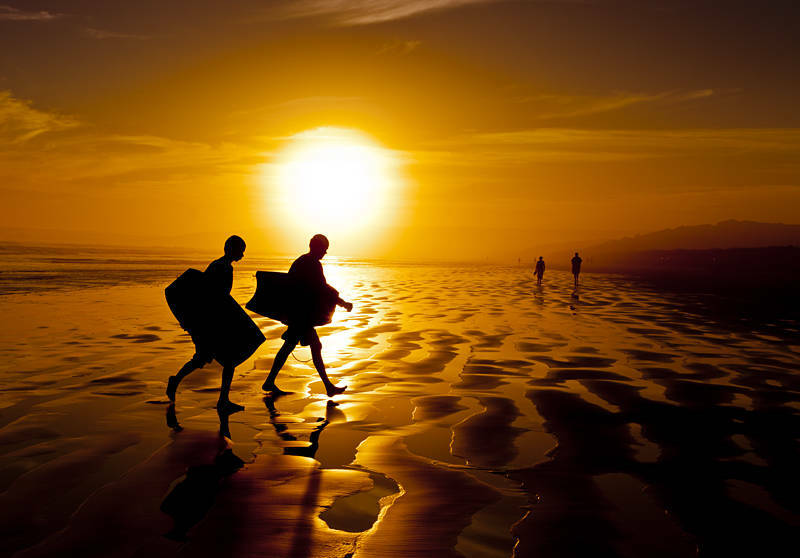 This silhouette of two body surfers was taken at Goolwa Beach which is the location of Karen‘s earliest memories. Her parents, Bob and Val, owned a beach house here 40 years ago. We visited Mannum yesterday and took a couple of ferries across the Murry River to reach our campsite at Narrung between Lake Alexandrina and Lake Albert. Next we head towards Mount Gambier. Great photo – looks idyllic! Love the warm colors in this shot, beautiful scene here!